PDM Dynamic Notification – ehcanadian Consulting Inc. 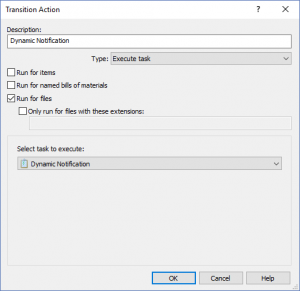 The PDM Dynamic Notification Add-in simplifies a PDM workflow by allowing the PDM admin to set one transition for notifications instead of creating multiple transitions for each notification condition. 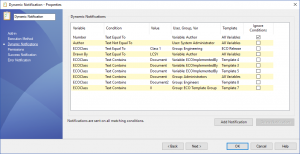 The add-in supports notifying a user, group, or a user specified by a variable. 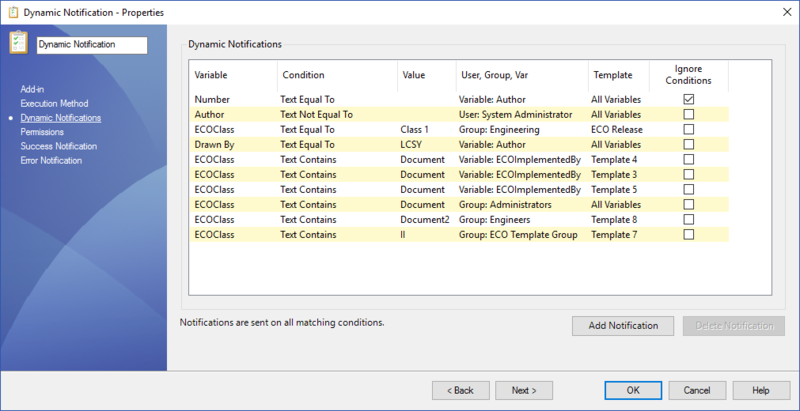 The notification can be triggered by doing a comparison against a variable value or if a value has changed between versions. Full HTML editing of messages with links to documents. 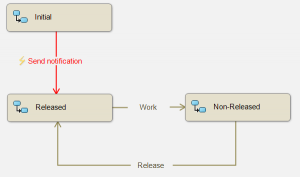 Different notifications can be sent based on the same variable in the same transition. Conditions can be ignored for a notification so that a notification is always sent. Uses PDM’s built in messaging system. No more configuring your workflow when employees come or go! The add-in will run for 30 days as a trial. When the trial period completes the add-in will not run and a license will be required. See the documentation tab for detailed setup information. NOTE: The PDM License Manager add-in is required for this add-in to run. Open the downloaded .cex file using the PDM administration tool. 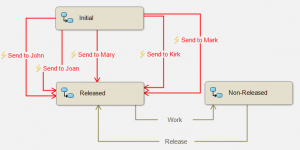 Drag and drop the Dynamic Notification and PDM License Manager add-ins on to the vault. Edit a template. There are numerous properties that can be entered into the template. The foreach placeholder provides the ability to loop over all the files in the transition and place their information into the notification message. Right click on the template message to edit the HTML source for additional formatting if desired. Variable: The variable you’d like to compare against. Condition: Either ‘text contains’, ‘text does not contain’, ‘text equals’, ‘text not equal to’, or ‘variable changed’. Empty values are valid to compare against. User, Group, Var: The user, group, or variable to sent to. 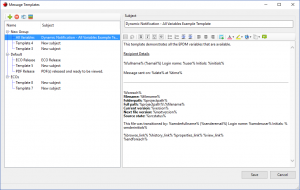 In the case of a variable, the add-in looks for a user’s full name, login name, or user data to match against in the variable. 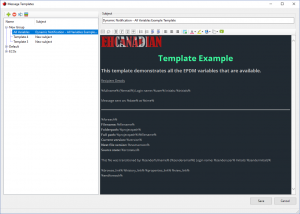 Template: The template to use to format the notification. 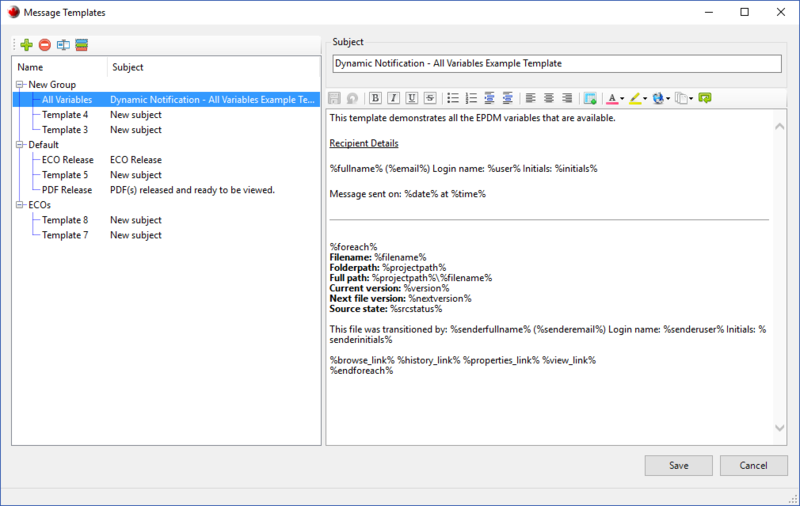 Ignore conditions: Always send the notification to the user specified in the variable regardless of what the variable contains. 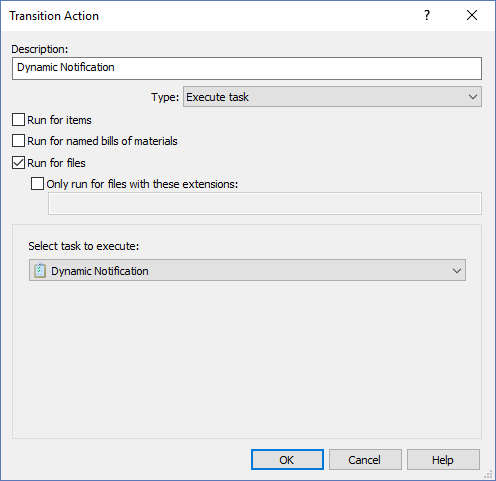 Edit a workflow and put a Transition Action for the task on the transition you’d like to send the notification.